CALGARY, Canada, January 16, 2019 /3BL Media/ – Benevity, Inc., the global leader in corporate social responsibility (CSR) and employee engagement software, today announced that more than one third of the companies on JUST Capital's list of America’s 100 “most JUST” corporations are Benevity clients. 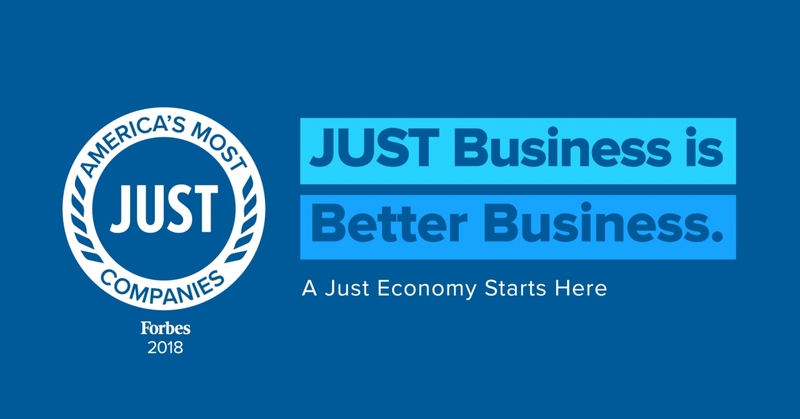 Developed in partnership with Forbes, the 2018 JUST 100 is the independent research nonprofit’s third annual ranking of publicly traded U.S. corporations based on a range of issues that Americans care about the most – including fair pay, benefits, support for local communities, customer privacy, environmental impact and more. JUST Capital conducts some of the most comprehensive surveys ever on public attitudes toward corporate behavior, reaching 9,000 American respondents in 2018 and more than 81,000 over the past four years. When asked what was most important for companies to prioritize, Americans ranked the following issues in order of importance: Workers, Customers, Products, the Environment, Jobs, Communities, and finally, Leadership & Shareholders. JUST Capital then tracked and evaluated the performance of companies against these priorities and created the ranking model that drives America’s Most JUST Companies, including the JUST 100 list of the top companies across all industries. This year, 37 of Benevity’s clients made the JUST 100 list, with 21 (more than half) in the top 50 overall. These progressive companies, which include Microsoft, Biogen and Prudential Financial, are part of Benevity’s global community of more than 550 enterprise companies who share a deep commitment to infusing the world with more Goodness through modern approaches to their corporate social responsibility and employee engagement programs. JUST Capital, an independent, nonprofit organization, aligns business practices with the priorities of the American people to ensure capitalism works for all. Our research, rankings, indexes, and data-driven tools help people make more informed decisions about where to invest, work, and buy to direct capital toward companies advancing a more just future. For additional information, visit: www.JUSTCapital.com.